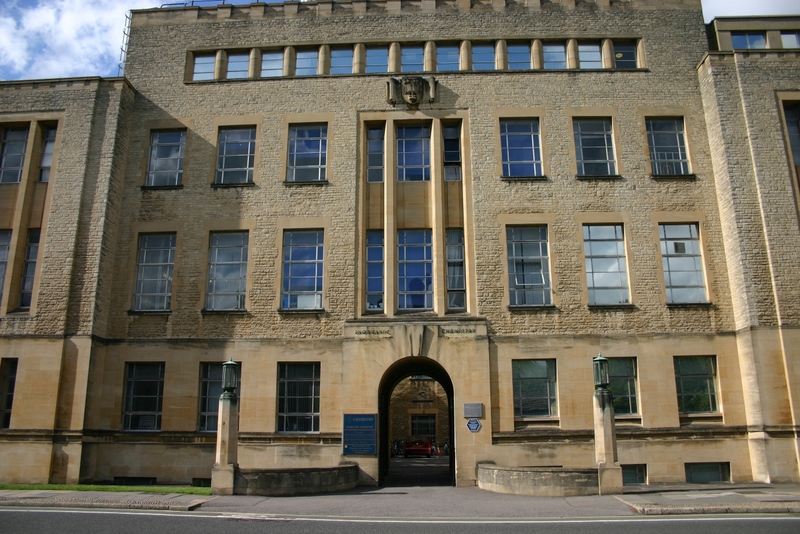 Inorganic Chemistry Laboratory, University of Oxford by Luca Borghi. Image licensed via Creative Commons Attribution-ShareAlike 3.0 Unported license. This plaque commemorates the development, starting in the early 1980s, of an enzyme electrode for detecting glucose. The original paper described a ferrocene-mediated electrode for the analysis of glucose which was usable in whole undiluted blood, and had obvious potential for the sensing of sugar levels in diabetic patients. This original work was extended (principally by Hill, Cass and Davis) and later patented, and the resulting electrode system has saved the lives of many diabetic patients by the simple, reliable detection of sugar levels in the blood. Currently less than 1 µl of blood is needed in a painless straightforward procedure which allows patients to monitor their own blood sugar levels. The unveiling ceremony began with a welcome and introduction by Professor Peter Edwards FRS, the head of inorganic chemistry at Oxford. Allen Hill FRS then reminisced about early work on the electrode leading to the first paper on it. Tony Cass spoke on “sensors today”: blood sensors are still of prime importance for glucose measurement but now also give an instant blood profile, e.g. for pregnancy and other conditions. 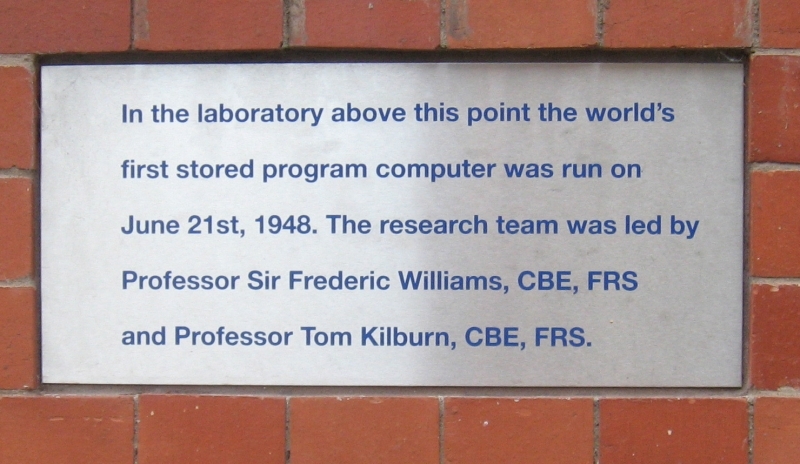 Professor Fraser Armstrong spoke on “Looking to the future”; Dr Robert Parker, the Chief Executive of the RSC, spoke on the RSC Chemical Landmarks scheme, and the plaque was then unveiled by the three principal investigators of the original work, Allen Hill, Tony Cass and Graham Davis. Final comments were made by Pete Edwards and a reception for the large audience followed. Glucose Sensor In this laboratory on 20 July 1982, Allen Hill, Tony Cass and Graham Davis made the crucial discovery which led to the development of a unique electronic blood glucose sensor now used by millions of diabetics worldwide. 1. A.E.G. Cass, G. Davis, G.D. Francis, H.A.O. Hill, W.J. Aston, I.J. Higgins, E.V. Plotkin, L.D.L. Scott & A.P. Turner, “Ferrocene-Mediated Enzyme Electrode for Amperometric Determination of Glucose”, Analyt. Chem. 1984, 56, 667-671. 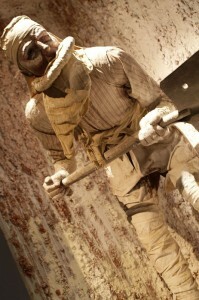 Lablanc Process from the historical gallery "Birth of an Industry" at Catalyst. Image courtesy of Catalyst Science Discovery Centre. The Catalyst Science Discovery Centre is the only science and discovery centre in the country devoted to chemistry. It was opened on its current site in 1986 and is run by a charitable Trust. 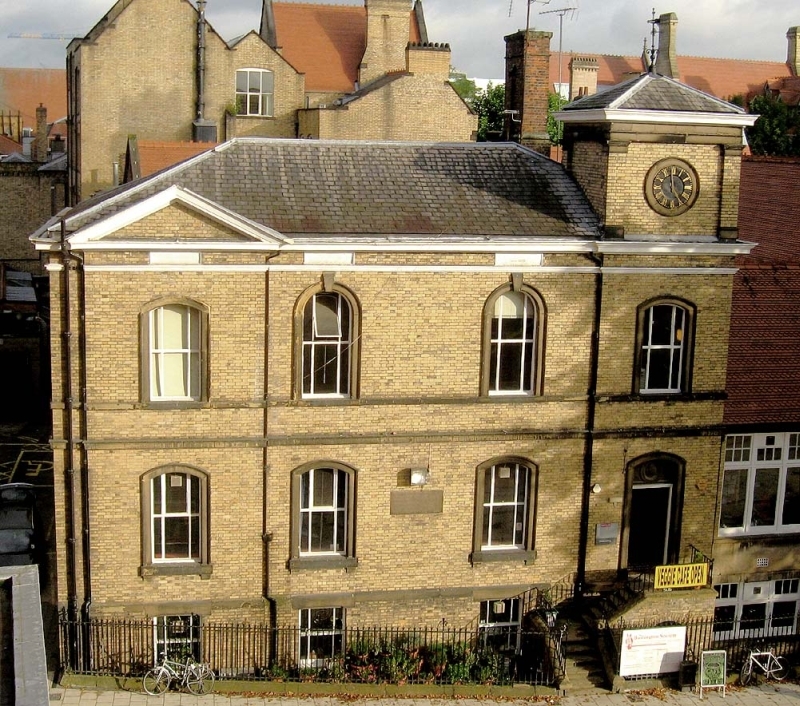 The building was originally built as offices for John Hutchinson’s alkali works (probably in 1862). After the absorption of Hutchinson’s by the United Alkali Company in 1891 the building was leased in 1893 (and then subsequently sold in 1898) to Barnett Dutton, Auctioneers of Widnes, later becoming part of the Gossage soap works, founded by William Gossage (1799-1877) in 1908. Finally, with the rest of the Gossage estate, it was acquired by Imperial Chemical Industries, Ltd., on 5th October, 1948, and adapted for use as laboratories. After it closed in 1961 the Gossage Building was used by several companies including Hughes and Treleaven, who were the last owner before Catalyst was established. There are five floors. The ground floor contains a reasonably priced, comfortable café, and a large exhibition area of mainly interactive exhibits on a wide range of topics and materials, e.g. soaps, dyestuffs, autocatalysts, photovoltaic cells, batteries etc. There is a Periodic Table near the entrance where there is still space to sponsor your own element. On the first floor there are two lecture theatres and a working laboratory where no less than 900 presentations of chemical experiments were conducted last year. Various chemical processes are covered here too in the well-lit and well-arranged galleries, e.g. on the Leblanc, Solvay, Castner-Kellner and other processes; materials such as penicillin, DDT, polythene, halothane (discovered in 1951 in the nearby ICI Widnes lab.) etc. are shown. 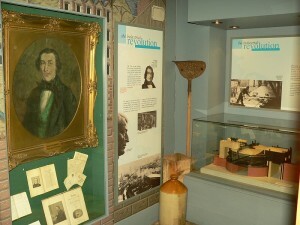 On the second floor there are exhibits on plastics. Don’t miss the top floor called the Observatory: this glass-covered structure gives magnificent, panoramic 3600 views of the surrounding Merseyside area, most of which had housed some of the world’s largest chemical industry (ICI and other firms); some are still there of course, much has gone. 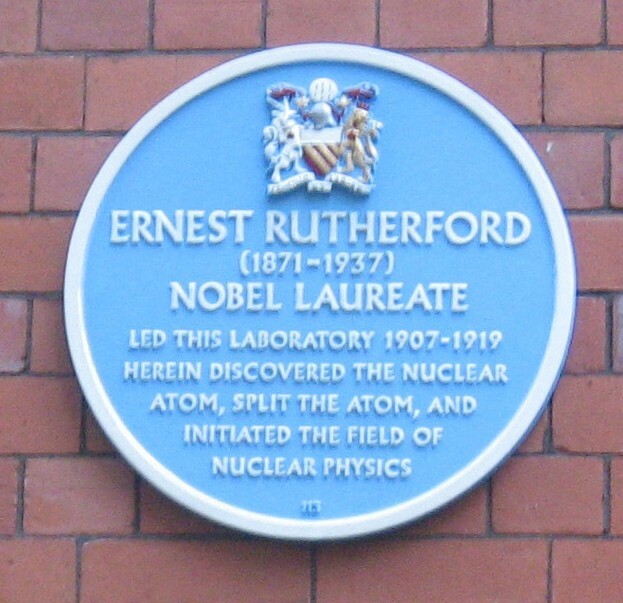 Catalyst was awarded a Royal Society of Chemistry blue plaque in October 2011 to commemorate the 1951 synthesis and subsequent commercial development and use of halothane, the first inhalation anaesthetic designed by chemists. Halothane was nominated for a plaque by the RSC Liverpool Local Section, and the Historical Group was represented at the presentation by Bill Griffith and John Hudson. The ICI General Chemicals Widnes Research Laboratory, where the synthesis was achieved, has since been demolished, so the plaque was placed on the nearby Catalyst Centre, which occupies the site of the former ICI Tower laboratory. Catalyst now has a permanent display relating to halothane, and is also the repository of the ICI General Chemical Archive which contains the original documentation relating to halothane. One particular highlight is a the series of chemical demonstrations given to children belonging to the very popular Catalyst Saturday Science Club and their parents. 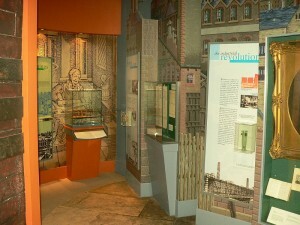 Historical gallery "Birth of an Industry" at Catalyst. Image courtesy of Catalyst Science Discovery Centre. The proceedings commenced with a welcome from Dr Jenny Clucas, a Trustee of Catalyst. She outlined the role of Catalyst, which is the only science discovery centre in the country devoted to chemistry, as well as being a museum of the chemical industry. There then followed a presentation by Professor Colin Suckling, son of Dr Charles Suckling who led the team which synthesised and developed halothane. Several other members of the family were present, but Professor Suckling reported that sadly his father was too infirm to be at the event but was extremely proud that he and his team were being honoured in this way. Professor Suckling briefly outlined the history of anaesthetics. He referred to the fact that the first attempt to establish the scientific basis of anaesthesia had been made by Dr John Snow in the nineteenth century, and that in 2008 the RSC had erected a Landmark Plaque to Snow to commemorate his demonstration of the mode of transmission of cholera. The halothane story commenced when Dr John Ferguson, ICI Head of Research, suggested to Charles Suckling that he investigate a range of fluorinated hydrocarbons as possible anaesthetic agents. The most widely used compounds at the time were chloroform, diethyl ether, nitrous oxide, and cyclopropane. The ICI research resulted in the compound 2-bromo-2-chloro-1,1,1-trifluoroethane, which was found to be far superior to the anaesthetics then in use. It was safer, non-inflammable, and had a relatively low toxicity. Known as halothane, and trademarked as Fluothane, it was used worldwide in millions of operations between 1956 and the 1990s. It still finds some application in the third world, although it has largely been superseded by halogenated ethers such as enfluane and isofluane. ICI General Chemicals Widnes Research Laboratory in recognition of the outstanding scientific contribution made by Charles Suckling and others, close to this site in 1951, in the synthesis and subsequent commercial development of halothane, the word’s first synthetic inhalation anaesthetic. 22 October 2011. A visit to Catalyst is highly recommended. 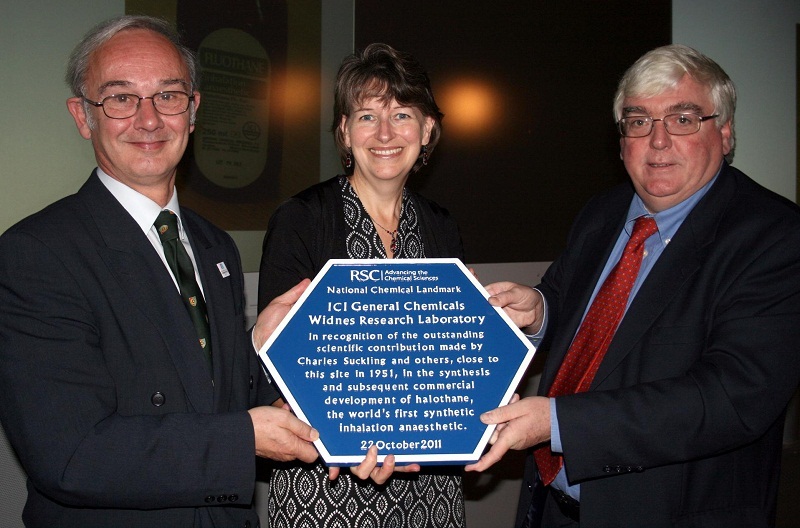 Professor Colin Suckling (left) and Professor Paul O’Brien presenting the Chemical Landmark Plaque for Halothane, Catalyst Science Discovery Centre and Museum, Widnes to Dr Jenny Clucas on 22 October 2011. Opening Hours: 1000-1700 on Tuesdays to Fridays and from 1000-1700 on Saturdays and Sundays; closed on Mondays (except during local school holidays). Carlsberg Lab by lint01. Image licensed under Creative Commons Attribution-NonCommercial-NoDerivs 2.0 license. The historic laboratory, built in 1897 and the principal place of research until 1976, is at 10 Gamle (“old”) Carlsbergvej. It is still in active operation, joined by a covered passageway to the modern research center next door. Neither building is normally open to the general public and a bell must be rung to gain admission to the old building. Inside it there is an impressive staircase rising from the entrance hall, with flanking busts of Louis Pasteur and the German chemist Justus von Liebig. Pasteur paid a visit to the laboratory in 1884. The Carlsberg Brewery is open to the public. Its entrance is on Nv (“new”) Carlsbergvej, around the corner from the research center; the portal is framed by massive granite elephants, which actually support a cooling tower. Guided tours take the visitor through all parts of the brewery and provide him with a taste of the Carlsberg product. The very earliest research laboratory (1876-1897) was a part of the main brewery complex. 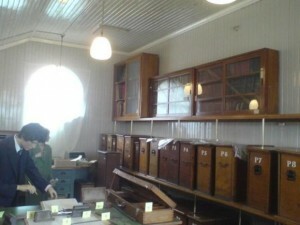 It is now a museum and is visited as part of the guided tour. The house in which the brewery founder J. C. Jacobsen resided (built in 1876) is on the brewery grounds, separated only by tall trees and gardens from the railway tracks on one side and the main brewery buildings on the other. 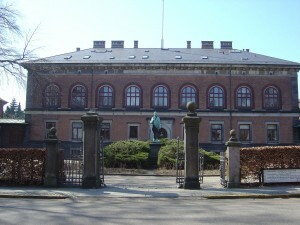 It is now the “Mansion of Honor,” given as a lifelong residence to a distinguished Danish scholar. Scientists and humanists alternate as occupants. The most celebrated occupant was Niels Bohr, who lived in the house (except for his brief wartime absence) from 1932 until his death in 1962. Halfway down Burlington Street stands the Schunck Building, part of a 1904 extension to the University of Manchester. Its unusual history captures how, at the turn of the twentieth century, the focus of scientific activity was shifting from private individuals to large institutions. Edward Schunck, the building’s first user, was born in Manchester in 1820. The son of a German textile merchant, he received his earliest chemical training from William Henry, a leading manufacturing chemist, who brought him into the laboratory attached to the works where Henry’s Magnesia and other pharmaceuticals were made. There were, of course, no University facilities near Manchester at this time, but Schunck’s background gave him an easy passage to the well-equipped research laboratories of Germany. After studying briefly at the University of Berlin, he moved to Giessen to study with the immensely influential Justus von Liebig, receiving his doctorate in 1841. The Schunck family owned a textile works near Rochdale involved in calico printing, bleaching, fulling, and other processes, and in 1842 Edward returned to become chemical manager at the works. Over the next few years, however, he gradually withdrew from the factory and concentrated full-time on research. He investigated industrial materials such as dyestuffs, but also a range of other substances including chlorophyll, which he suggested played a similar role in plants to that of haemoglobin in animals (carrying carbon dioxide, rather than oxygen, around the organism). Schunck established himself as one of the leaders of Manchester’s chemical culture in the years following the 1844 death of its long-term figurehead, John Dalton. He was repeatedly President of the Literary and Philosophical Society, and was closely connected with many of the organisers of Owens College, founded in 1851 and increasingly a centre for chemistry teaching. Schunck, however, had no need of the College’s facilities. In the 1870s, he inherited the family fortune and built a superb private laboratory at his home on Kersal Moor, to the north of Salford, together with an extensive library of chemical literature. Late in life, he transferred around £20 000 to Owens College, to be used for promoting chemical research. Schunck died in 1903, bequeathing the laboratory and library to the College. The bequest was taken literally. 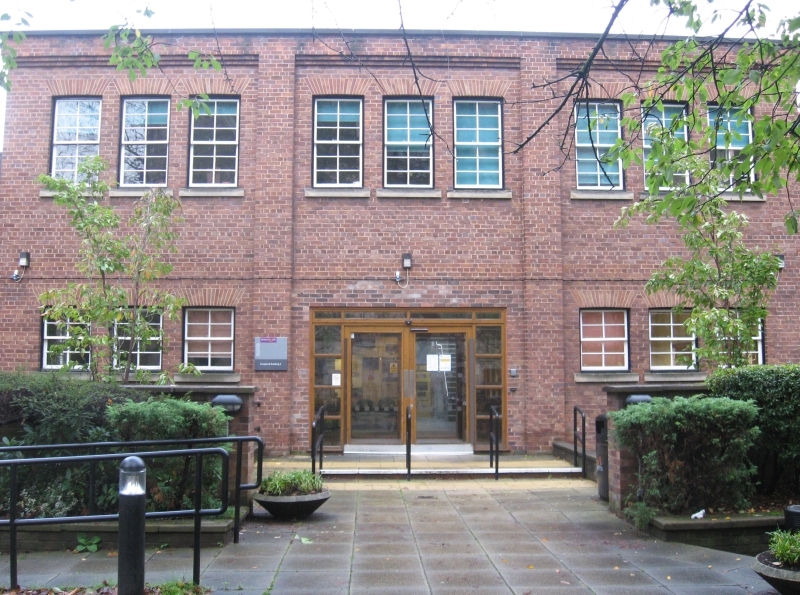 Not only were the contents of the library brought to the College, then in the process of becoming the University of Manchester: the entire physical laboratory was removed from Kersal and reconstructed on Burlington Street under the supervision of the Professor of Chemistry, H B Dixon. 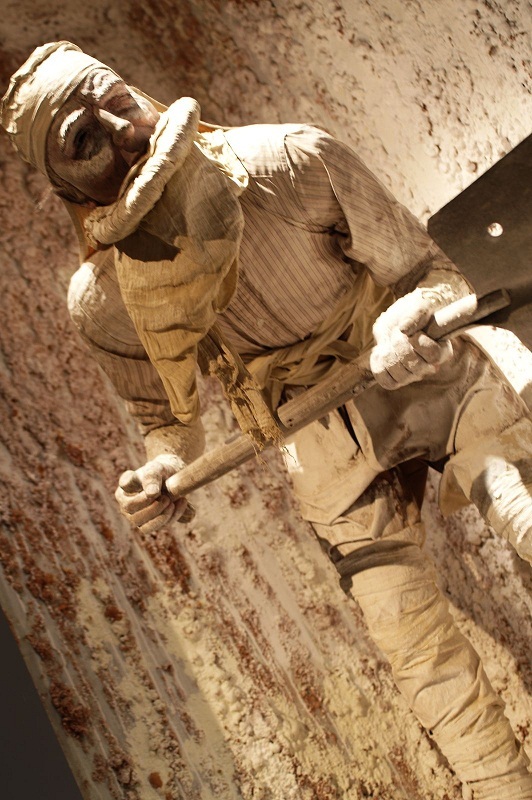 Contemporary accounts suggest a faithful brick-by-brick reconstruction, but this is difficult to establish from the official records. Pevsner’s architectural guide points out that the brick of the building matches its neighbours, implying that this was really a partially new construction to a similar shape. 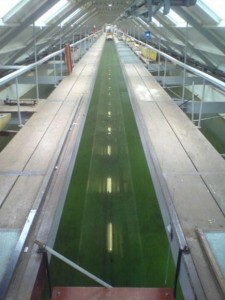 The internal fixtures of the laboratory, however, were transferred directly. Under the influence of German industrial success, the University’s chemical activities in this period were focused increasingly on the organic side of the discipline, which had applications in dyestuffs, food and explosives. The re-erected Schunck Laboratory forms one corner of what became a small quadrangle devoted entirely to organic work, filling the space between Henry Roscoe’s original Chemistry Building and the Medical School. The organic expansion had already begun in 1895 with the Schorlemmer Laboratories (now hemmed in on all sides, and barely visible from the street). These were named in honour of Carl Schorlemmer, a former pupil of Robert Bunsen (of burner fame). In 1874, Owens College had given Schorlemmer the first Chair in Organic Chemistry in Britain. He was followed in 1892 by William Henry Perkin, Junior, son of the London chemist remembered for discovering mauve, the first synthetic dye. The younger Perkin’s students included Robert Robinson, a future Nobel Prizewinner and President of the Royal Society, and Chaim Weizmann, future President of Israel, whose work on fermentation processes proved crucial to the British war effort around 1915. 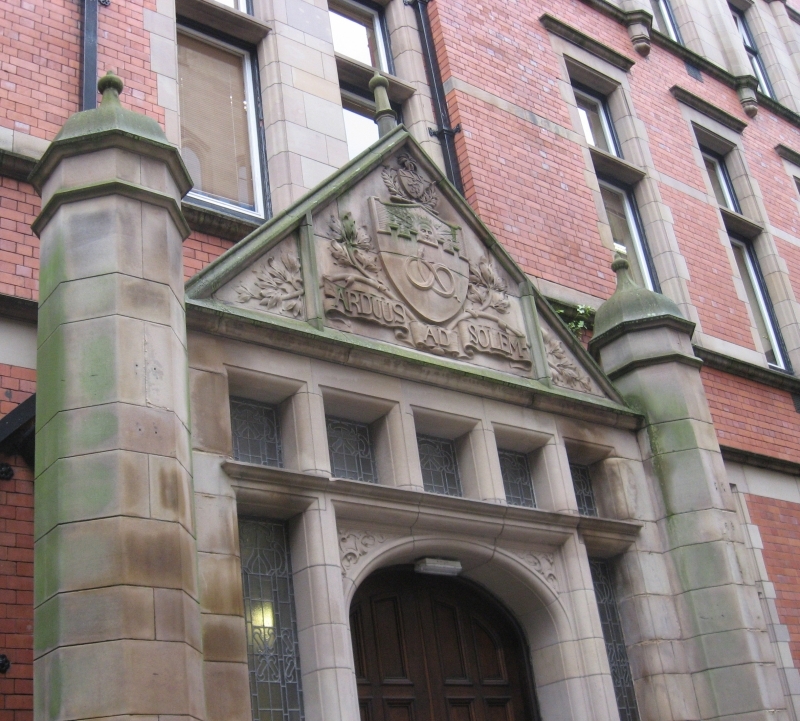 Further down Burlington Street, where the extensions to the John Rylands University Library now stand, were further chemical laboratories built in the 1940s and 50s. 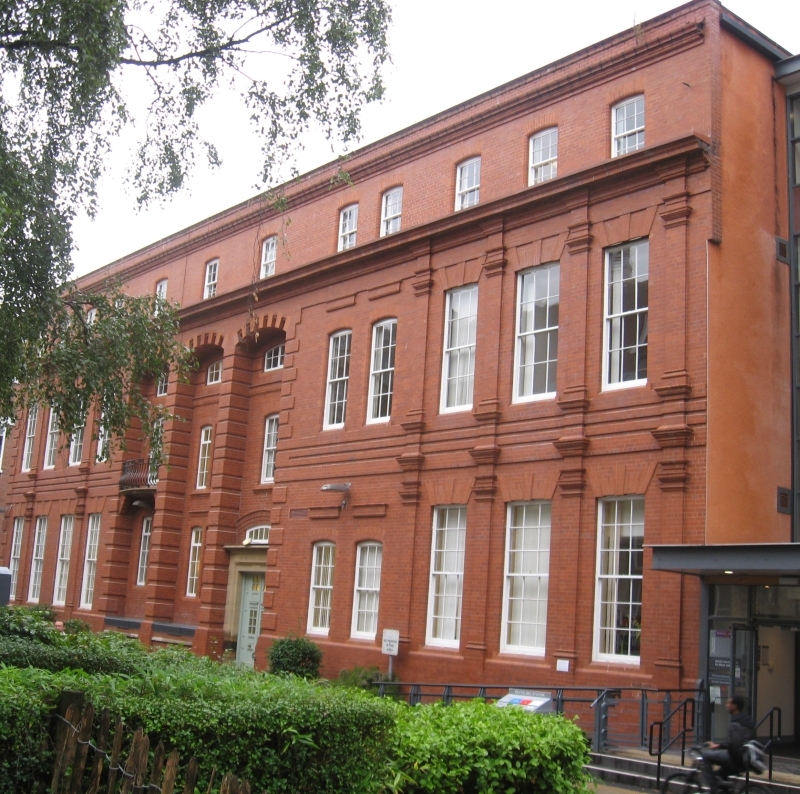 These were short-lived, as chemistry migrated – like almost all the University’s scientific activities – to new, larger buildings on the east side of Oxford Road. Following the path round to the right, however, reveals a collection of gloriously un-redeveloped outbuildings, giving a good flavour of what this end of the campus must once have been like. 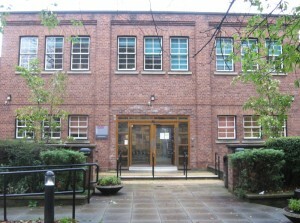 The Schunck Building itself is now home to facilities including a vegetarian café and the Burlington Society, the postgraduate and mature students’ society for the universities of Greater Manchester. Access: no formal public access to the interior. Good views of the frontage from Burlington Street, which is publicly accessible. Unilever Research Laboratory, Port Sunlight, by Donald Farnworth. Image licensed under Creative Commons Attribution-ShareAlike 2.0 license. The presentation took place in the Unilever Port Sunlight Research and Development Laboratory on Wednesday 30 March 2011, to mark the centenary of their first R & D laboratory. After a buffet lunch, guests and research workers assembled in the main hall, and three speeches preceded the presentation. 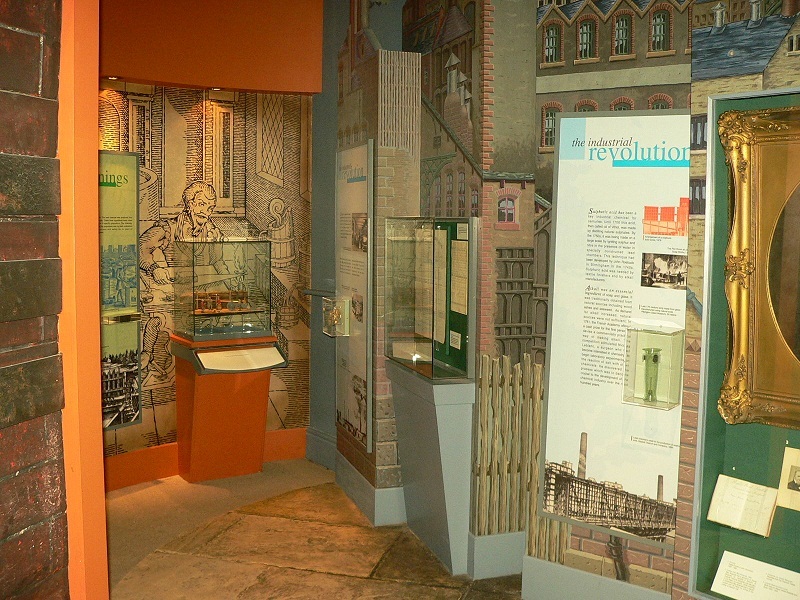 Dr Mike Parkington, the Laboratory Director, said that this event celebrated one hundred years of the first purpose-built R & D laboratory at Port Sunlight. 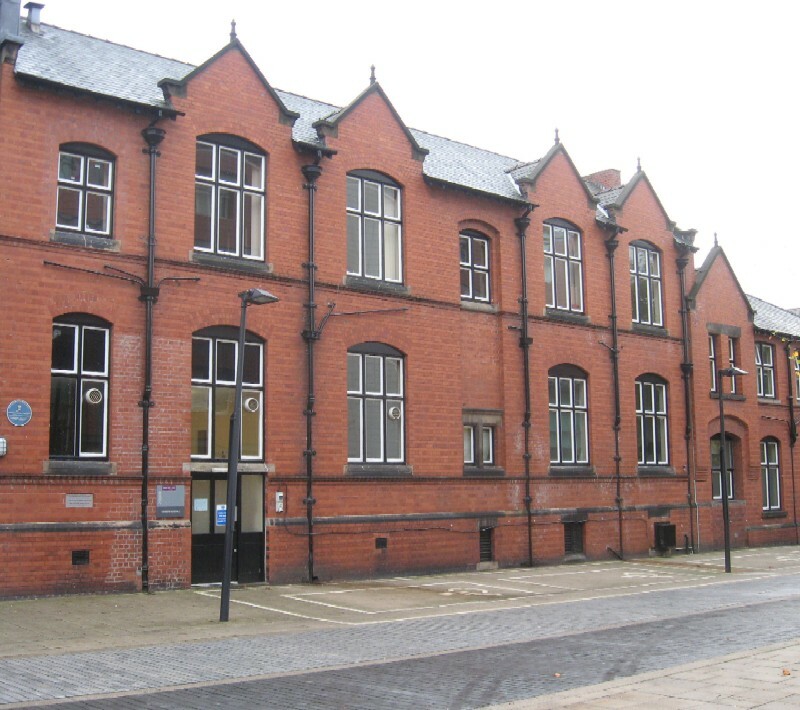 The original structure (the ‘Flatiron’ building), though much changed inside, is still in use and was built by William Hesketh-Lever (1851-1925, first Viscount Leverhulme) in 1911. There are some 750 R&D workers at Port Sunlight, including 200 PhD employees, constituting an international workforce. Many well-known Unilever brands, particularly detergents, soaps, hygiene and hair-care products were developed there. Professor Geneviève Beaver, the Chief R&D Officer, said that some 2 billion people worldwide used Unilever products. There is a considerable challenge for the firm to optimise existing products and develop new ones; research facilities were second to none in the laboratories with cutting-edge facilities. Professor Paul O’Brien, Vice-President of the RSC and Professor of Inorganic Materials at Manchester University, thanked Unilever for hosting the event. The RSC Chemical Landmark Scheme was first introduced in 2001 and officially recognises historical sites in the UK where a significant chemical discovery or research has taken place. In this International Year of Chemistry 2011 several plaques will be awarded in recognition of the importance of chemistry and the chemical sciences in meeting the challenges of every-day life. There are currently over 47,000 RSC members and the thirty-five Local Sections in the UK are encouraged to nominate historical sites for awards. Paul thanked the Liverpool Local Section which started the nomination process for the Unilever Laboratory in 2007. The RSC had collaborated with Unilever in significant projects in recent years, including: their sponsorship of the RSC Team work in Innovation award given to reward and promote innovation and creativity, and a joint collaboration called Project Splash in 2008, aimed at addressing water management in peri-urban communities. Unilever also supports the Pan Africa Chemistry Network by attending conferences and providing keynote speakers. Paul then handed over the plaque to Dr. Parkington and Prof. Beaver, and Dr. Parkington formally thanked Paul and the RSC. There was then a brief tour of two research facilities in the building, one concerned with the development and use of hair-care products and the other on the development of soaps and hygiene materials. Unilever Research & Development Port Sunlight Laboratory. In recognition of the outstanding scientific contribution to the fast moving consumer goods industry made by Unilever Port Sunlight’s laboratory since 1911. One hundred years on, the people on site continue to deliver innovative products to enhance the lives of billions of consumers around the world. Prof Ted Hughes was a trailblazer in kinetics and mechanisms in organic chemistry. As a researcher in the period, 1928-63, Hughes’ work changed the aspect of organic chemistry by progressively replacing empiricism by rationality and understanding. Hughes was a long time colleague and friend of Sir Christopher Ingold, equally recognised for this area. Hughes, son of a farmer, was born near Criccieth, in Gwynedd, close to where David Lloyd George was brought up. His first language was Welsh and was educated at Llanstumdwy Elementary and Porthmadog County Schools. He graduated with a 1st Class Honours in Chemistry at UCNW, Bangor and obtained his Ph.D. also from Bangor in 1930 with Ingold as the external examiner. 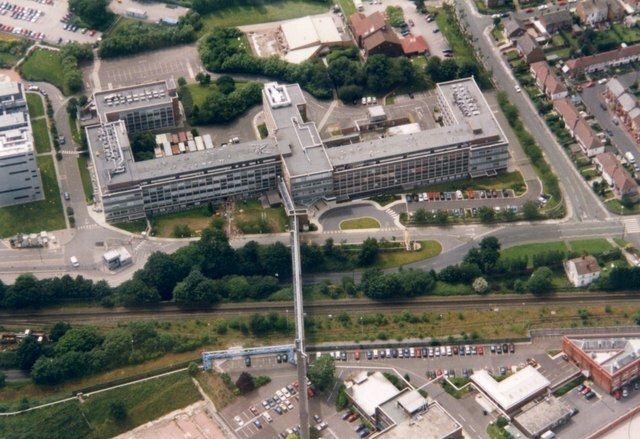 During this period, under the Leadership of Prof K Orton, Bangor was one of the finest centres of physical chemistry in the world. He joined Ingold’s new group at University College, London (UCL) where he stayed until 1943 when he was appointed to the Chair of Chemistry at Bangor. Hughes developed an active research programme at Bangor and the best known work during this period was the development of a method for isolating isotopically enriched water from natural water by continuous fractional distillation. This technique yielded 18-O enriched water that could be used to trace the fate of particular O atoms in a substrate molecule undergoing reaction and thereby elucidating the mechanism of the reaction. We understand that this was the first time 18-O had been separated by distillation in the UK and would have opened the door to enormous advances in Chemistry, Biology and Nuclear Physics. During his tenure at Bangor, Hughes maintained his collaboration with Ingold by his appointment as Honorary Research Associate at UCL. It is also worth noting that Ingold spent the time during the World War Two at the University of Aberystwyth. In 1948, Hughes moved back to UCL to a Chair in Chemistry where he remained until his death in 1963, aged 57. He was elected a Fellow of the Royal Society in 1949. While Hughes was dedicated to Chemistry, he had a love of breeding and racing greyhounds. When he died, he left a wife, a daughter and 57 greyhounds. Ted Hughes must surely be one of Wales’ most eminent and productive chemists. The names of Hughes and Ingold are giants in organic chemistry and Bangor University was a key location along this journey. A true Welshman, born and educated in Gwynedd, Hughes’ contribution to organic chemistry would be well recognized by an RSC Chemical Landmark being designated at the Chemistry Department at Bangor University. The Landmark recognition recognises both Prof Ted Hughes’s contributions and the 125 year history of Chemistry at Bangor. This is the first such recognition in Wales. Being bilingual, it is also the only Landmark to contain the Welsh language. Original article written by Dr E Malcolm Jones, Secretary, North Wales Local Section and published in V. Quirke (ed), Royal Society of Chemistry Historical Group Newsletter, February 2010.